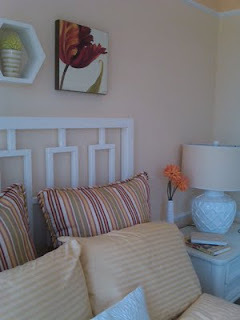 I fell in love with this room and color scheme instantly. The pure warm yellows in this room really inspire happiness and tranquility. 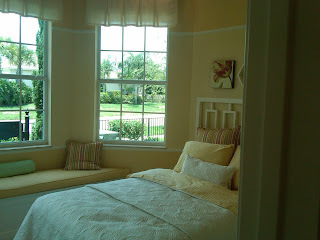 I love how the room transforms from a light, delicate sunshine to rich, decadent melted butter as the day goes from bright morning light to afternoon and dusk. The white stands out as a clean canvas, accenting the main with pops of red and green to keep the space feeling fresh and give it some added character. 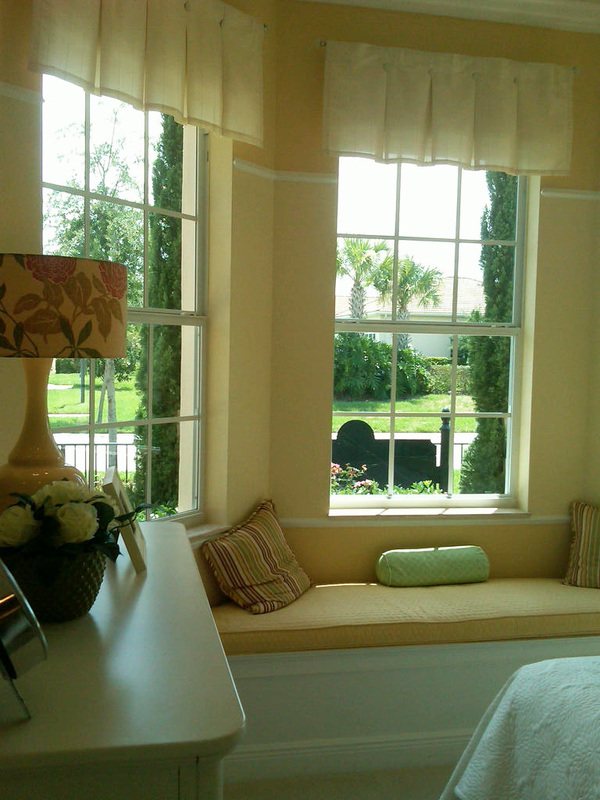 The window seat hosts the same striped pillows as the bed and is adorned with light sheer valances. 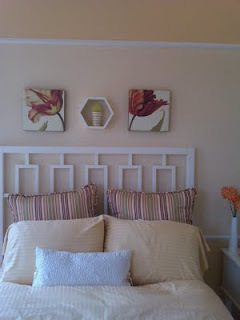 Yellow is such a versatile color and invokes such warmth. What a wonderful room to retreat to each evening or to make guests feel incredibly welcome! You are quite right. I can see how the butter color changes as the day goes by. I also love the choice of fabric, and the headboard added texture to the bedroom.